Blog about ways to make money online for free and save money by using Internet freebies and giveaways. Follow my work, articles, tips and tricks and I am sure that you will be able to start making money online and saving cash on online purchases. Everyone loves to have fun during the free time and listening to the music is a thing, which surely helps us to relax and regain your strength. We all like different kinds of music, that’s why there are so many of them, but did you know that there is a website, where you can listen you the music, which suits your taste, rate the tracks and get paid for doing so? Slicethepie.com is the project I am willing to write about, here members get money for rating music and discovering new talented bands. Unfortunately, not very long ago Slicethepie owners have changed their terms of service and not this “get paid to” opportunity is only available for people from US. If you qualify, go on reading my short review of Slicethepie. There are several things, which make this website unique and profitable – firstly you get money for doing things you like (pick the genres you like, listen to the music and get paid for leaving your thoughts about songs you listen to), secondly, it is totally free to join and you can work whenever you like, there is no distinct number of tracks you have to rate or listen to every day and finally, Slicethepie works with real world investors and gives you the opportunity to invest money into the bands you liked or consider to have high potential of future success. 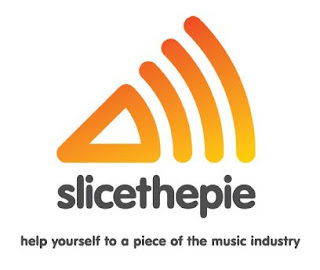 So, what are you waiting for, visit Slicethepie.com to create your free account, after this you will be eligible to enter the member zone and do some scouting (that’s how they call paid music reviewing). The minimum payout at Slicethepie is just 5GBP and it shouldn’t take long to earn enough money to cash them out. All in all, Slicethepie is a pure make money online opportunity, which allows you to make money, while having fun online. This website offers a great variety of earning options, so the minimum payout limit is easy to reach. Remember to work on your member status, the better your reviews are, the higher scores you receive and the more cash you can possibly earn. Leaving meaningful reviews and comments is the key to earning good money by reviewing music at Slicethepie. Good luck and happy earnings at Slice the Pie. The global Internet network gives us a lot of advantages. By being online we can find all the information we need, communicate with our friends and even make money at home. Investigating Internet business opportunities has become a great hobby of mine. I know dozens of great ways to make money online for free and I would like to share one good income opportunity for you. Paid file sharing gained its popularity over the years and now hundreds of web users are earning cash for sharing files. Let me show you how to get money by uploading files by using Easy-Share.com. The process of earning money at Easy-Share.com looks very simple. Register at Easy-Share and start uploading your files (photos, videos, music, images, ect.) via ftp, remote upload, embedded widgets. Being a member of Easy-Share.com you will receive money for every download of your documents. Pay per download rates are currently standing at $40 per 1000 downloads. Or you can pick a different reward plan (revue sharing) and receive 65% of money earned from premium account sales. The minimum cash-out on this get paid to upload website is just 10 dollars and users can receive money via PayPal, AlertPay and WebMoney. This get paid to website is looking very nice and I will be looking forward to earning more money with this site. Out new economics dictates its rules and we have to adapt in order to survive and life a happy life. Internet is a great tool for those, who want to make extra money for free and fast. We all use file sharing - we send photos, videos, music and other documents to our friends, so why don't we turn it into a business model? These days here is a whole lot of tools, which could help us. Free data hosting services are appearing here and there. Their main objective is to provide their affiliates with free and quality data storage. Additionally, all affiliates can make money by promoting their files, it's a great offer for anyone. Lets review the "paid to upload" model on the example of Uploading.com. You, as an affiliate, sign up at Uploading.com and sharing sharing your files. When your files are uploaded, you are ready to get started with earning money. By promoting the download links to the files you have shared you will be getting paid for every download (rates reach up to 30 dollars per 1000 downloads). This sounds like a killer deal for anyone. I went ahead to Uploading.com and found out this earning technique pretty reasonable. The owners of this service are providing great support to anyone, who wants to make money by sharing files. They even give recommendations about the sites, which could be used for promoting your download links. As I have already mentioned, I am only starting my earning quest with Uploading.com, but I see that some people are already earning good money with this paid to upload site (please refer to this post, where payment from Uploading.com is shared). Personally I like this way of earning money and hope to make at least something with it. Uploading.com pays via PayPal and WebMoney, I am in a big need on e-currency that is why I am up for this offer. This blog will be dedicated to such exciting topics as making money from home for free, coupons and various freebies. Feel free to subsribe and hopefully the new posts will start coming up in several days.